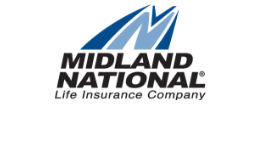 Sammons Financial Group is hiring an Independent Broker Dealer (IBD) Wholesaler for Midland National Life Insurance’s territory in New Jersey. This position entails recruiting IBD Advisors as well as maintaining relationships with existing advisors and nurturing potential IBD partnerships. The ideal candidate will be based in New Jersey and have at least five years of relevant experience in the financial services industry. At Sammons Financial Group, we offer a competitive salary and benefits package. Health and dental coverage, retirement savings, and fitness reimbursement are just the cornerstone of our benefits package; we also offer career development services and tuition reimbursement, and time off to volunteer in the community. Learn more about our company, and apply for the IBD Wholesaler position.